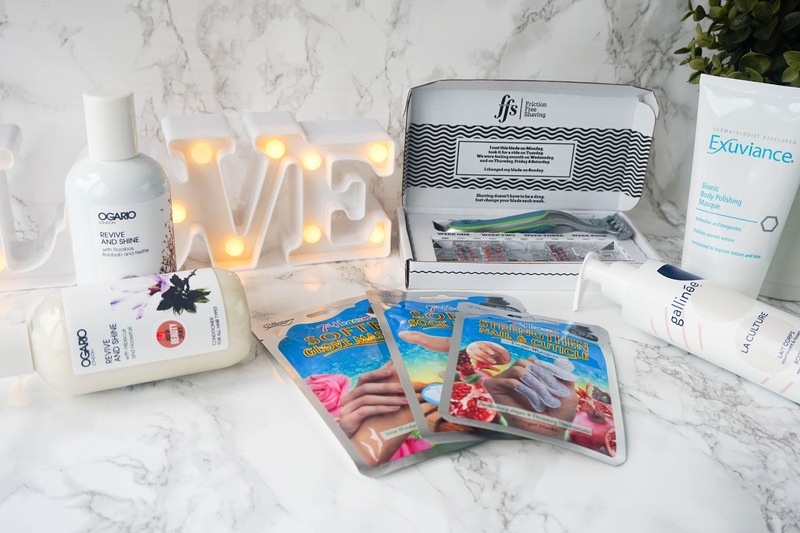 Over the past couple of weeks I've had the opportunity of coming across a couple of new brands along with adding quite a few new products to my body and hair care routines. So after trailing everything out, I wanted to put together a post to share with you some of these new products and my thoughts on them so far. I also wanted to quickly say a huge thank you to Scarlett (from Scarlett London Events) for putting together a fantastic #BloggersFestival event, where I got to meet some of the brands I will be talking about today. As always Scarlett put a lot of effort into organising the event and I'm sure that everyone who attended had a fanatic time. I personally got to meet new brands, as well as new bloggers and not forgetting saying hi to familiar faces too. So all in all it was a great bloggers day out... But back to today's blog post as I tell you all about my new beauty findings. 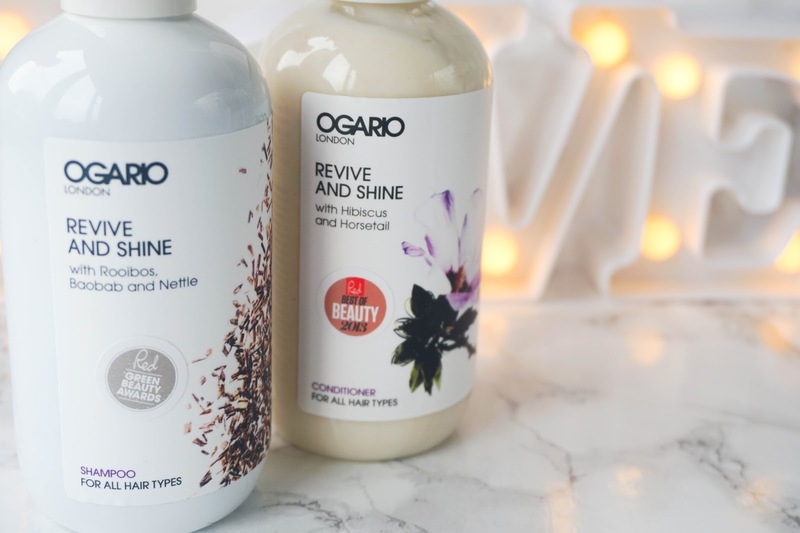 First up I've got a couple of hair care products from brand Ogario London, which I actually reviewed here on the blog before over the summer. This time around I have been trying out the brand's Revive and Shine range*, consisting of their shampoo and conditioner duo. This multi-award winning range focuses on putting life back into dull & lacklustre hair, whilst adding shine at the same time. In one word it basically feels like a hydrating moisturiser for the hair, so it's more than welcoming on my current hair situation. Since I've had my balayage redone in Dublin, I've been keeping a strict routine of using purple shampoo on my hair weekly, as it's the only way I can keep the brassiness away. 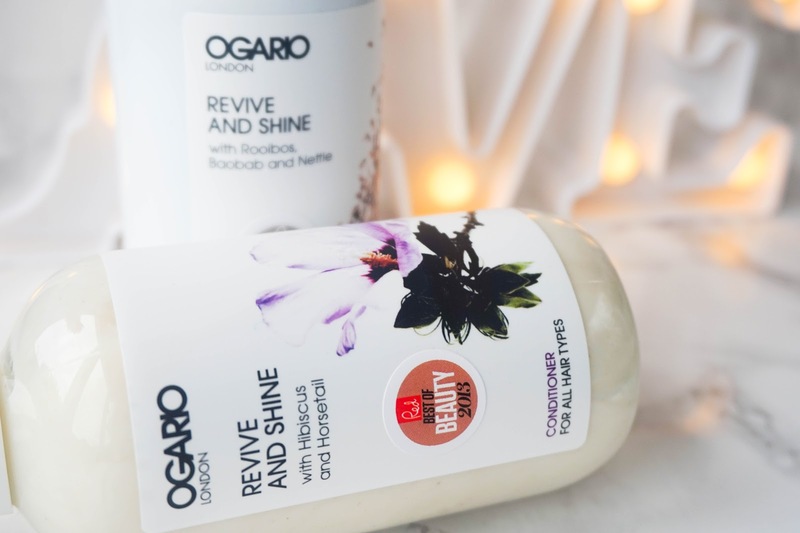 This however leaves my hair feeling quite dry, so using this duo from Ogario London is the perfect balance for my hair needs. The shampoo has a vivid orange colour to it and a refreshing scent, as it's main ingredients are Rooibos, Baobab and Nettle. For my shoulder length hair a small amount is all I need to lather up my hair completely and cleanse it properly. The conditioner has a rich texture that smooths out evenly over the hair and leaves it feeling super soft and tangle-free, without weighing it down. There is a more floral scent to this as it contains Hibiscus and Horsetail. 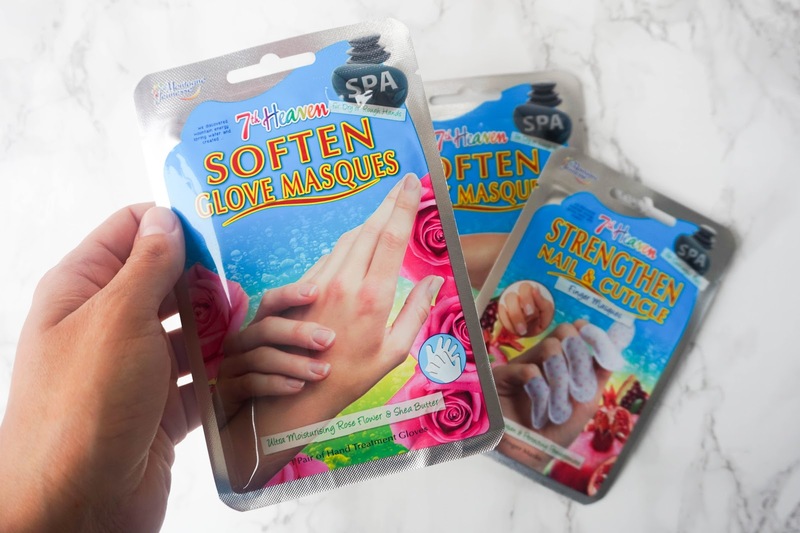 I've then got my hands on a couple of new masks from 7th Heaven Beauty, which I'm not sure you can even find in store just yet. I had the chance to meet the brand at #BloggersFestival where I received a ton of face masks, along with these body care ones which are actually from their Spa range*. The range promises to be Paraben free, which is great knowing there's no nasties in there. Instead they focus on using nourishing products such as Shea Butter, Argan Oil, Macademia Oil and Almond oil. 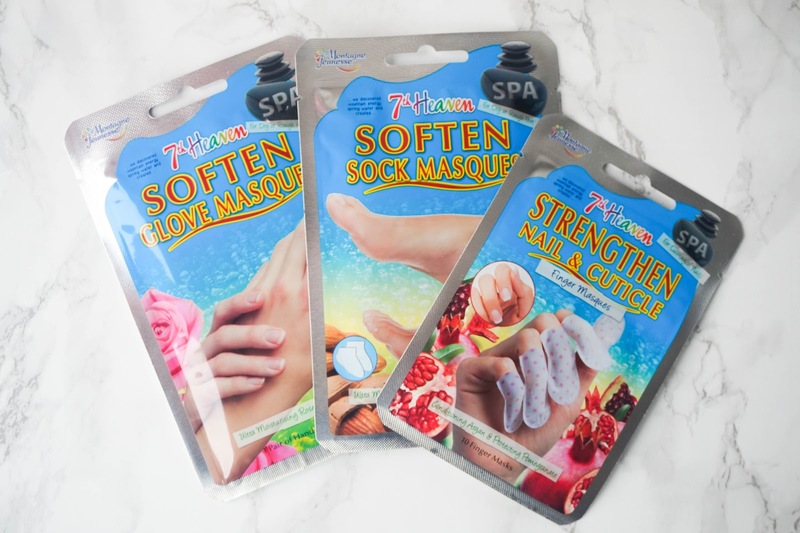 I always have problems with cracked heels, dry hands and cuticles so these masks looked ideal as a pampering treat. I have found effective and immediate results with these treatments, they literally leave you skin feeling smoother than ever. However these results don't last longer than a couple of days. For the price ranging between £2.49 - £2.99 I think it's a nice treat to have every now and then. But if you want to maintain the results I would imagine you need to use them on a weekly basis, so it all depends on your budget. 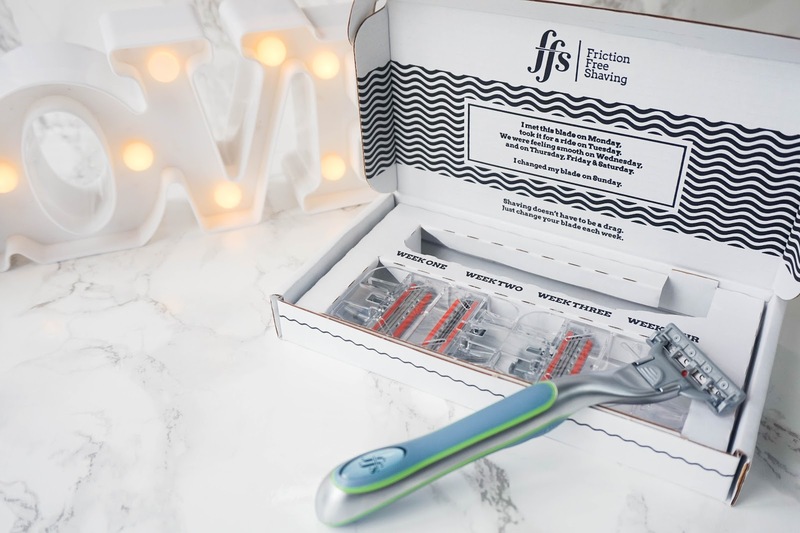 Next up I've got Friction Free Shaving*, which is a shaving subscription box designed with women in mind and my initial reaction was YASSS why wasn't something like this created years ago?! I've expressed my opinions on preferring to use men's razors over the feminine pink ones that aren't anywhere near as effective. So when I came across this brand at #BloggersFestival I was really happy to see that a subscription box like this has been created. 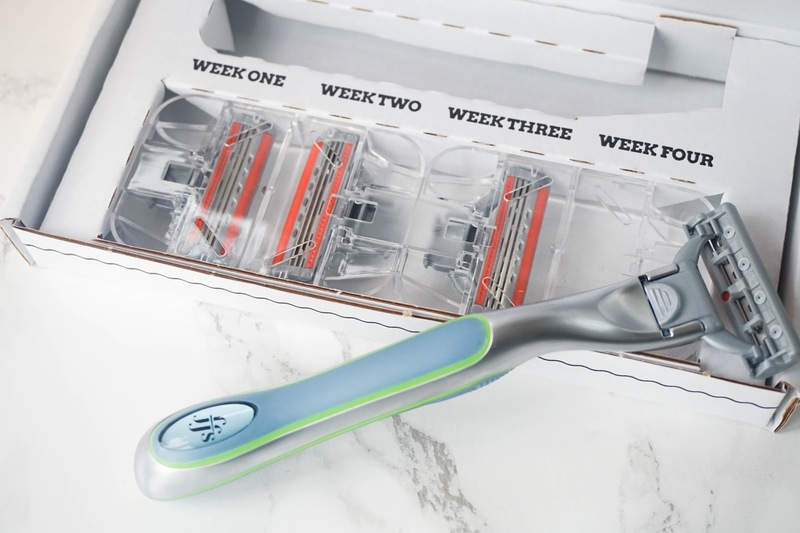 The razor may not be pink or pretty, but it sure is effective and the 4 blades included will last me a couple of weeks with regular shaving. The best thing about this subscription box is just how affordable it is. They have three different options and it starts from as little as £3 per month. The one you see here is called Frankie which comes with 3 blade heads and it's £5 a month. The most expensive option is Samantha, it offers a 5 blade head and it's rose gold #bloggersdream. I'm really impressed with the brand overall and very tempted to sign up to a monthly subscription. 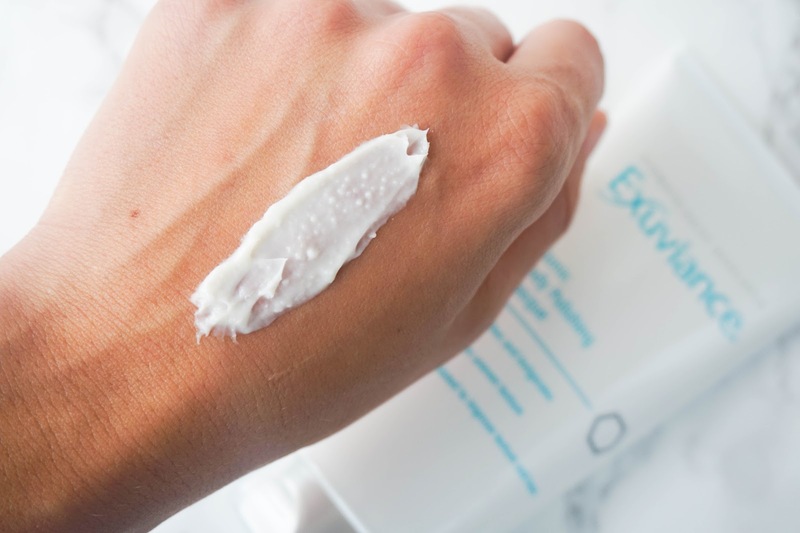 Next brand is another from #BloggersFestival and that is Exuviance, which I have actually noticed at events in the past but never had the chance to talk to before, as they were always super busy. Since I was at the event quite early, it was my perfect opportunity to introduce myself to the brand. I opted for a product from their body care range as you can never pamper your skin too much in my opinion. 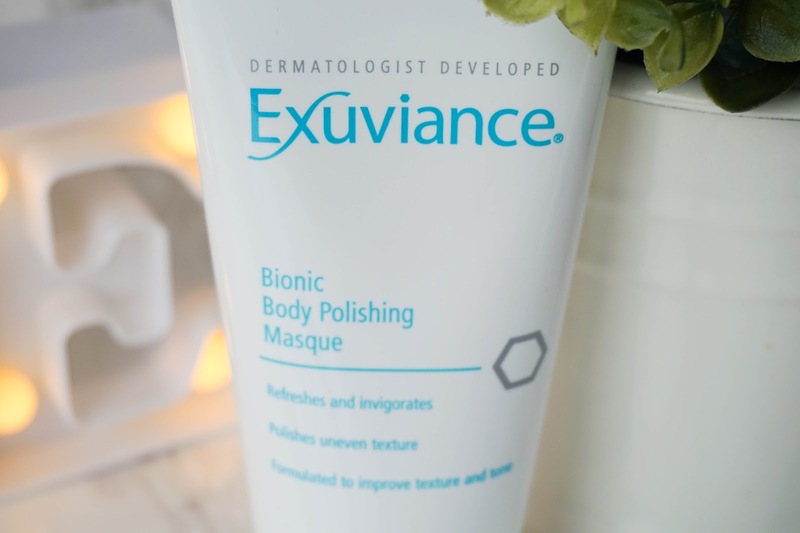 The Exuviance Bionic Body Polishing Masque*, is a new concept to my routine as I have never actually used a mask for the body before. So the instructions for using this is to gently massage the polish on damp skin, as you would normally apply an exfoliator. The trick is to then leave it on your skin for a further 2/3 minutes, which is when it acts like a mask and causes a 'peeling' effect due to its PHAs ingredients that focus on removing dead skin cells in a gentle way. 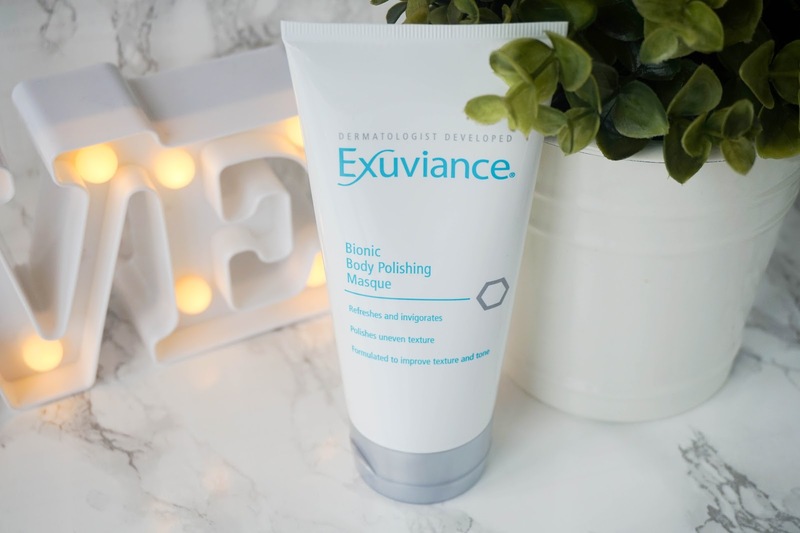 It feels strange using such a creamy product for exfoliation and actually noticing effective results, as my skin is left feeling super smooth and soft. 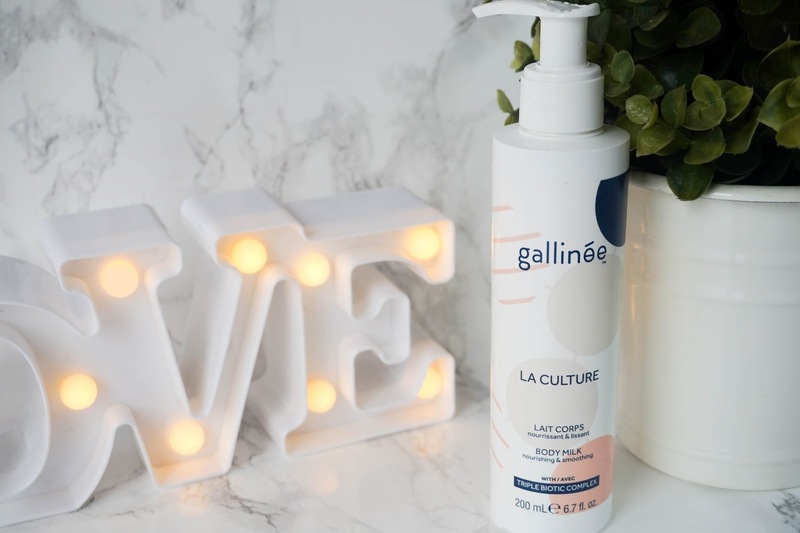 Last up I've got the Gallinee La Culture Body Milk*, which is a brand that has popped on my blog before and knowing the great quality of previous products, I was excited to add this to my body care routine. First of all I love the packaging, having a pump makes it so much easier when you are moisturising your skin. Secondly I love how this feels on my skin, it has a creamy texture, yet it feels light at the same time and it's non-greasy. It absorbs into my dehydrated skin immediately without leaving a sticky residue behind, which is fantastic. Most importantly it does a great job at leaving my skin feeling nourished, hydrated and soothed. The brand's patented Triple Biotic Complex of prebiotics, probiotics and postbiotics is what helps to support the skin’s microbiome in the most gentle and effective way possible. As with all Gallinee products, the ingredients are natural without containing any kind of colourants, parabens, mineral oils or silicones. *PR samples sent for review or products received at a blogger event.